Did you know that border collies are one of the smartest breeds out there? Without a doubt, you can call them the best representation of combined intelligence and athleticism of all the canine world. We'll get back to this later.. However, just like with people, intelligence is nothing without practice. And I'm sure you wouldn't like your dog's amazing potential to go to waste. But today we review the best toys out there to help you turn your border collie into a smart and well shaped dog. **These links will take you to Chewy, if you'd like to see prices and reviews. Playing fetch is arguably the best method of play that you can engage in with a border collie. However, because of their penchant for treating play like a job, you’ll most likely tire of playing long before they do. As such, an automated throwing toy is essential. 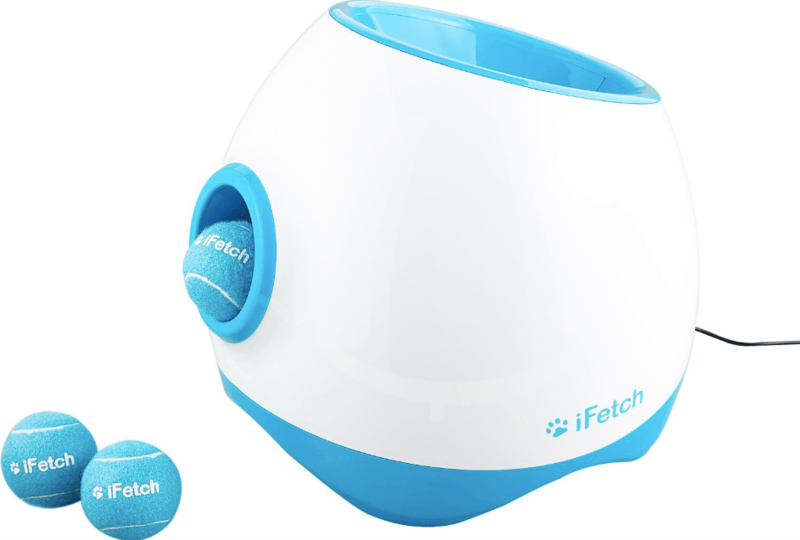 The iFetch Automated Ball Launcher fits this bill well because it will allow your dog to turn this important game into a solo project once your arm grows too tired. Your pooch is smart enough to figure how the contraption works once you show him what to do, which could mean he’ll play with it when he’s bored – a better alternative than biting your sofa. Plus, the toy gives your border collie significant mental stimulation. 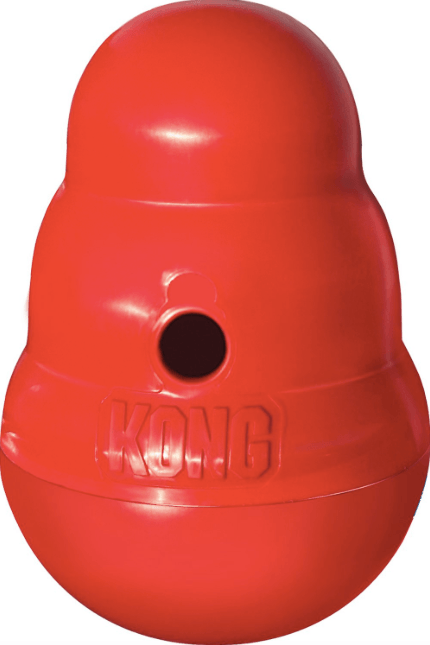 Your pooch can easily figure out how to re-load the balls once they’ve all been launched. 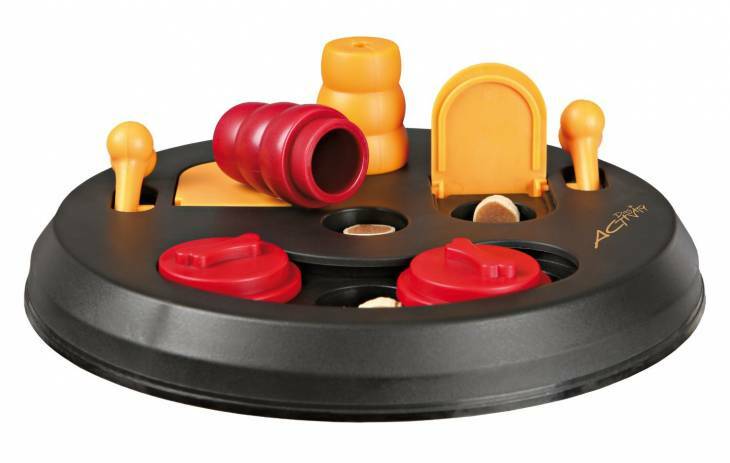 You could say that this device works as a puzzle toy as well as a ball launcher. If you really want to continue exercising his noggin, you can't go wrong with the TRIXIE Dog Activity Flip Board. The reason this works so well is because it contains different ways for your border collie to work his mind since there are multiple puzzles involved. The numerous amount of puzzle opportunities is a key component here as it relates to a border collie. If you’re dealing with a puzzle toy that contains just one basic puzzle, your border collie may become bored with it once he masters the trick. With a toy like this, however, he will spend less time focusing on one puzzle because there are so many to choose from. This inherently gives the toy a great deal of longevity other puzzle toys may not have. Of course, the other key to this puzzle toy is the promise of treats at the end. Be sure that you are providing consistent rewards to your border collie within the device, and check to see whether or not he’s “wiped out” the puzzle. After all, rewarding him for exhibiting his intelligence is quite rewarding from a pet owner’s perspective. Regardless of what kind of toy you decide to pick up for your pooch, it is important that you look at the toys as a means to develop and strengthen the bond that you enjoy with your pooch. Border collies are obviously known for being athletic studs, but it’s important to remember that they can also be cuddly companions. The best way to bring out the softer side of this impressive breed is to allow his energetic, herding side flourish. Doing so will not only fulfill his instinctual need, but it will also make him a much more enjoyable pet. And who wouldn't want that in their lives? Border collies get their name because they were initially bred near the England/Scotland border. They were designed to be herding dogs charged with keeping animals like sheep confined to a designated area. The derived herding instincts are a hallmark of the breed’s overall character, specifically his superior intelligence. These instincts also translate into a breed that is a workaholic that always has plenty of energy to burn. This trait makes the breed popular with ranchers and farmers looking for help containing livestock. The breed’s boundless vigor, when combined with his brains and athletic prowess makes them a popular choice for canine sports. Border collies are also highly trainable, which is another reason why they are routinely seen on the canine athletic circuit. But even with all of these work and energy-related metrics, a border collie is certainly not opposed to hanging out and cuddling with you every now and again. Border collies are one of most agreeable breeds to train, and that’s a good thing. While training your dog should always be a priority, it seems extra important to instill good behavior techniques in this breed. An untrained border can and will make your life miserable. The reason for this is due to the dog's instinct, intelligence, and energy. Border collies will constantly look to herd anything if you don’t differentiate between what should and shouldn’t be herded. This may even include your own children – which may result in the dog nipping at your kids should they try to “break away” from the pack. Because border collies are so bright, they enjoy doing things that stimulate their brain. In a way, this form of mental activity ties into things that could be construed as herding in their eyes, such like chasing down a Frisbee or running to a designated area. Their impressive athleticism allows for this type of mental stimulation rather easily. Also, the border collie is a breed filled with a seemingly endless amount of energy, and he must have outlets to release that energy. This means that you must be prepared to provide plenty of exercise to the breed, preferably in a big space like a spacious backyard or a dog park. Experts stress that this is one breed that will not adapt too well to apartment living. The downside to this intelligence and energy is that the breed can get bored rather easily, and can create his own mischief. This could result in him treating your children like sheep in a literal sense. It could also lead to massive amounts of destructive – and costly – behavior. 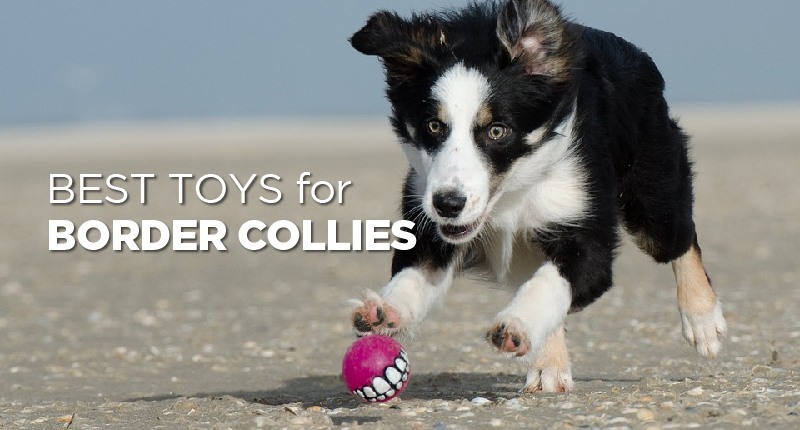 The toys that are essential to keeping your border collie happy are toys that manage to satisfy his athletic tendencies as well as stimulate his mind. Even though this dog is technically a herder and not a retriever, some of the best toys you can share with him tend to be toys that retriever breeds may also enjoy. A toy like a Frisbee disc or a ball that he can go after works well because to a border collie, he isn’t viewing retrieval as a game so much as he’s viewing it as a purposeful task. This type of interaction can further deepen the bond between you and your pooch. Just know that the breed’s workaholic tendencies may mean you’ll be playing for quite some time. Fortunately, border collies are immensely clever and readily trainable, so they can be trained to play the retrieval game himself. 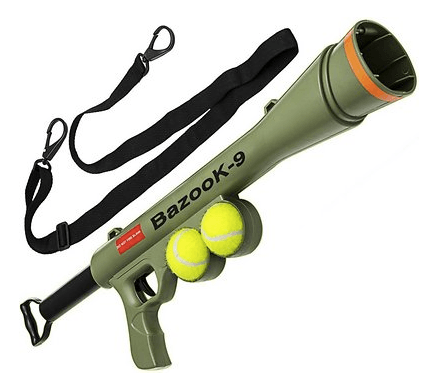 There are automated ball throwers on the market designed to be pooch-activated, from its throwing mechanics to loading the machine. This may give you a welcome respite from playing fetch for an inordinate amount of time. The intelligence of a border collie should not be underestimated when it comes time to engage in playtime. Puzzle toys are great because they not only stimulate the brain, but they can also stimulate physical activity in the process. Indeed, you may see your pooch roll, pull, and find other physical means to solve the puzzle, especially if there’s a treat waiting inside. If you have ample space on your property such as a big backyard, you can also construct an agility course for your pooch. A trained border collie has the smarts and athleticism necessary to run through tunnels, jump hurdles, and weave through poles as long as you direct him. There are kits available, or you can build your own course if you have the skills. What Toys Should be Skipped? Stuffed squeak toys should be avoided for border collies at all costs. Remember, this breed is highly intelligent, and he will see that squeaker inside the adorable little stuffed toy you got him as a puzzle’s endgame. The result of his diligence in getting the squeaker will be a mess of fluff on your floor every time. You should also be very careful with the type of chew toy you get for a border collie. While these types of toys are very important for his overall dental health (not to mention the satiation of his instinctual needs), a flimsy one could be ravaged by his powerful jaws. This can make your house a mess and could cause health issues if the chunks are swallowed. Therefore, you should always make sure that you buy high-quality chew toys that have a sterling reputation for sturdiness. Time to Goof Around: What Are The Best Toys for Pugs?